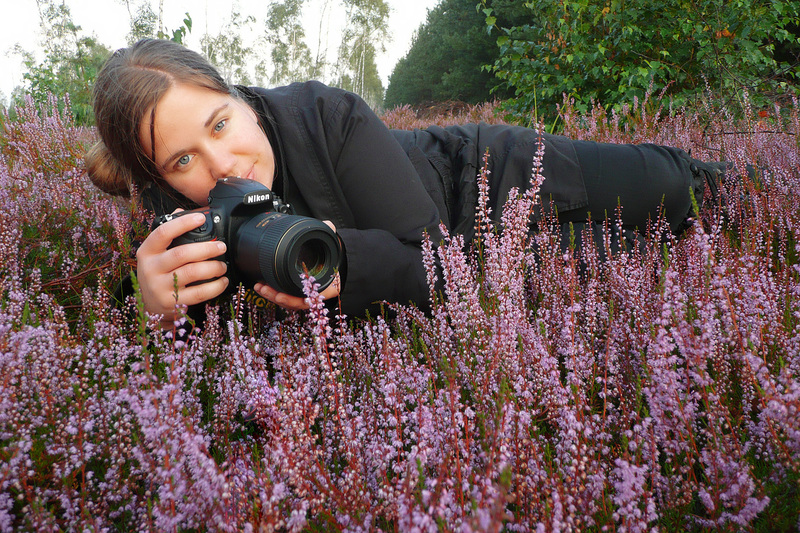 Anybody who loves nature photography and follows the news about the big competitions will see Sandra’s name pop-up. She won prices in the most prestigious nature photography competitions; WPY (Wildlife photographer of the year), GDT (European Wildlife Photographer of the Year), IPA (International Photography Awards), Asferico and many others. Sandra loves nature and that reflects in her images. The way she captures the light and puts emotions into her images are the work of a real ‘master’. My first introduction with Sandra’s work was via her contribution to the Wild Wonders of Europe project. And soon I discovered we had a nature subject in common : we love trees. As for me it was a reason to dig a little bit deeper into her photography work and I discovered a very inspirational artist with a recognizable personal photography style. In 2011 I had already asked Sandra for my earlier interview series, but her busy schedule back then had made it impossible to join. I got Jim Brandenburg for the closing interview instead, “not bad as a substitute”, she answered (with a big smile) and she promised me to join in a next series. I am therefore very happy to introduce her to you today on Visions and Nature, enjoy! Can you introduce yourself in a few lines, explain your background and how you got introduced to (nature) photography? I grew up as a daughter of a photo journalist in a small village surrounded by lakes, fields and forests. My interest in nature was there from the beginning and as I have been around cameras and the dark room all the time my interest in photography has always been there too. Combining these felt natural. For me, you are the ‘pioneer’ of double exposer images. Your ‘double exposure’ trees series are an inspiration for many other photographers. But using this technique does not mean they have the same photographic eye and artistic feeling as you have. These two elements are essential to copy a ‘real Sandra’ . But how do you feel about people trying to copy your work ? I believe almost everybody copies (or incorporates) ideas of others into ones own work. I think it’s inevitable. Not only techniques but ideas that one catches “on the road” … and weaves seamless into ones own work … of course … sometimes it’s hard to see that there are many people around that do an exact copy without adding anything of a personal view. Do you consider yourself and artist or a craftsman ? With other words do you consider photography as an art or a craft ? I consider myself as an artist. But the craft comes first. Photography involves a lot of craft and in order to express your artistic vision you need to practice your craftsmanship first. You worked on projects like Wild Wonders of Europe, Müritz-National-parc in the past, can you explain how these projects influenced your photography work ? How did they impact your photography in general ? I think that working conceptual and concentrated on certain projects help to focus the vision. With Wild Wonders of Europe it was the concentration on producing the most beautiful images of plants so it was 14 days straight orchid photography. After that I had a clear vision of what works and what doesn’t. For the Müritz-project it helped me to envision certain images before and not while doing the photography and I learned how to find out what key elements of a landscape or a region are in order to convey a clear image to the audience. At this moment you are working together with photographer Werner Bollmann on a new project, LYS. Can you tell us a bit more about this project, how did you come up with the subject and when you will publish something about it? There will be a book and a multi-vision show. We do work together with a great composer – Torsten Harder – and the result will be played with live musicians. You once said that you love water and the sea, trees and forests and that you prefer the cooler Northern parts of Europe. Can you express what you feel about these topics and what it is you like to capture when you are in your favourite surroundings. It’s not about average … it’s about extremes. And photographing where I feel good is a privilege. With a father as a photographer, who took you into the field with him, you were brought up with photography. Do you see your father as the real inspirator and do you have the same photography style? My father was an inspiration to do photography, but our styles couldn’t be more different. He is mainly working with people and faces and doing reportage photography. I have been interested to photograph different subjects right from the start. So he was the catalyst but not the inspiration along the way. The inspiration along the way came from friends in local camera clubs and the GDT. As I mentioned earlier in the introduction, you have already won a lot of prices. Is there still a price you would like to win ? What are your photography goals, destinations for 2014/2015 and what would you like to achieve ? I have no real aim to win more than I have now. It’s great for publicity but doesn’t matter when it comes to artistic expression. Of course it would be great to see an image of a landscape or plant winning the main price in a major competition but it is really not important for me. My hope and wishes for my future direction is that I have the time to elevate my own photographic expression, that I’m able to find time working on the projects I imagine. I’d love to do more projects together with musicians as I believe that photography and music build a perfect harmony and for 2015 we need to work deliberately on LYS. Share with us one of your favourite personal photographs? And tell the story behind it? I think that my image Light Show is one of my personal favourites. I took it in January 2011 and it still remains to be special to me. I am living directly at a pine forest and that afternoon it was one of the first warmer days … with 3°C and the snow began to melt … fog started building up against the warm rays of sun. I didn’t have any proper camera equipment at my apartment … no tripod, no proper camera. I only had my small Sony Nex with a Lensbaby tilt adapter and some old lenses. So I ran into the forest … all the time regretting to have no proper camera and lens with me … and started to experimenting with the focus while tilting my 50mm f 1.4 Nikon lens with open aperture … and handhold. In the end it turned out to be a perfect choice for an unsual image … full of light and emotion. Do you have any exhibitions or other events coming up? I will have two exhibitions in Potsdam and Berlin next year … mainly consisting my more abstract work – the tree and reed series. I will speak in Norway in March and I hope to publish a small personal book about the seasons in 2015. I do like the painterly quality of the image … the even distribution of light reflexes and views below the water surface. I’m also fascinated by the subtle colours … the blues and greens. The graphic quality makes this image. Remains of autumn… last leaves on a beautiful silver grey beech. I admire the light base that the lines of the branches for perfect patterns. Coming up next, in the “Interview-Series” : Kerstin Langenberger , don’t miss it!